In a drunk driving trial or other criminal case, expert witnesses may testify for the prosecution or for the defense. For example, you may present expert witnesses who will testify about problems with the sobriety tests, while prosecutors may present expert testimony about levels of impairment or accident reconstruction. Unfortunately, as a recent article from the National College of DUI Defense (NCDD) made clear, these “expert” witnesses may not actually be experts after all. Furthermore, there may be situations where experts cannot be sued by people whose lives they ruin even if they provide false or inaccurate testimony. When you are charged with a crime, your fate may hinge on these experts. You need a criminal defense lawyer to help you put together a strong case and to raise any necessary questions about the qualifications of prosecutor’s witnesses. The NCDD reported multiple situations where expert witnesses may have provided incorrect or inaccurate information in trial. These included an expert witness from the O.J. Simpson trial; a state toxicologist who was convicted of perjury and who may have falsified lab reports leading to as many as 134 wrongful convictions; and a toxicologist who ran more than 34,000 labs in Massachusetts and who pleaded guilty to crimes related to falsifying reports. These stories were described as being only the “recent ones,” and “only the tip of the iceberg.” Unfortunately, when a toxicologist is caught falsifying lab reports or lying to obtain a conviction, nothing bad generally happens to the person. In fact, just recently, a Court of Appeals in Ohio ruled that a state toxicologist could not be sued or found liable for false testimony in a murder case even though the judge relied on his testimony for the conviction and even though he had been convicted of perjury. 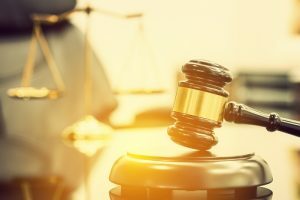 The Court of Appeals opinion states that the witness “deserves absolute immunity in the case because all testimony, even if perjured, is protected to ensure witnesses will be candid without fearing lawsuit.” The absolute immunity, even for dishonest testimony, applies to government witnesses. The NCDD believes that problems with expert witnesses start well before a potential perjury conviction. Often, no one cares enough to check whether the witness has the qualifications that are claimed. For example, the witness who was recently given immunity for his false testimony had claimed to be a doctor but he really did not even have a master’s degree and it is unclear whether he even had an undergraduate degree. University records showing how he may have been able to obtain the degree are missing. Problems like this undermine faith in the criminal justice system, as they should, and thus are whitewashed. Prosecutors care about their conviction record and may not have a lot of incentive to look too deeply into the expert witnesses on their side. All of this points to serious problems in the criminal justice system that make it hard for defendants to get the fair trial they deserve. Call Joseph LaBella & Associates today at 800-395-5951 or visit http://www.texas-dwi-lawyers.com/ to speak with a Houston DUI defense lawyer.